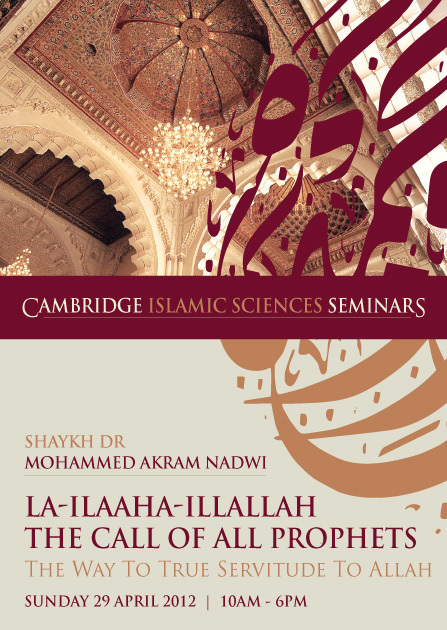 Cambridge Islamic Sciences: Is Your Shahadah Valid in "Non-Muslim Lands"? One of the implications of the Shahadah - La-ilaaha-illallah is that we accept al-hukm - the authority, command, decision, judgement and legislation - belongs to Allah alone. This means that none can share in the authority of Allah including the greatest of human beings, Prophet Muhammad (PBUH), let alone anyone else. Therefore everyone has to judge by the judgement of Allah. If such is the the case, then what are the implications of accepting and living under non-Muslim rule or, for that matter, any man-made rule even in Muslim countries? Some Muslims use the above verses to brand others professing Islam as unbelievers because they judge by other than what Allah revealed. Do these verses justify that? What is the real relationship between the Shahadah and the Rule of Allah? Are we violating the Shahadah by living under non-Muslim rule such as in England? What are the safeguards for the Shahadah under such circumstances? These are very important questions that every Muslim must ask themselves because to not know them is to live under doubt and confusion over Islam and Kufr (Unbelief). You are invited to attend the forthcoming seminar on Sunday 29th April by Shaykh Dr Mohammad Akram Nadwi which expounds the deeper aspects of the Shahadah probably in a way that has not been dealt with before in the English language. The above questions and many more important issues related the Shahahdah are discussed in this life-changing one day seminar. Please sign up soon as places are limited.